During the summer of 2011 ARCH were involved in an excavation at Foulis where a variety of interesting finds were made. Some of the finds were located by metal detecting survey that took place in advance of the dig. 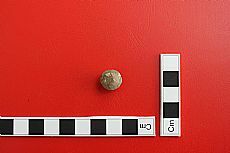 Three lead musket balls were found on the site by metal detector Eric Soane and tell us some interesting things about the site’s more recent history. Two are rounded, the larger one exhibits a dent on one side, likely the result of an impact after the ball has been shot from the musket. 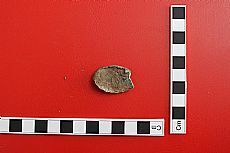 The third musket ball has been flattened by impact, perhaps having hit a stone. 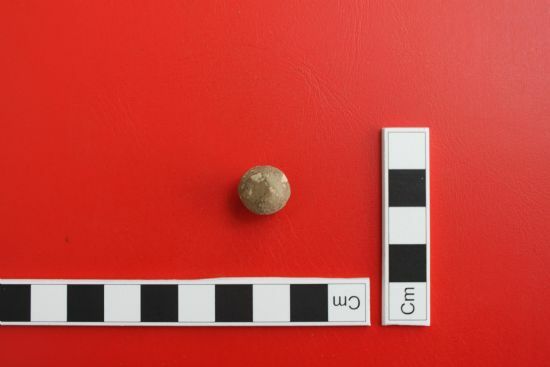 The smaller of the intact musket balls is of a weight that suggests it was the smallest ammunition used in a musket – anything lighter than this would be classed as pistol shot. Musket balls are made by pouring molten lead (or another alloy) into a two part single or multiple cavity mould. When the balls are removed the mould seam where the two halves have joined is removed. As none of the musket balls from Foulis appear to have a mould seam it is likely that they have been fired rather than dropped or discarded before use. The presence of musket balls is open to various interpretations as they could have been used by soldiers, perhaps during the Jacobite Rebellions, or by hunters or poachers. Musket balls can only really be dated to the Post-Medieval era (c.1560-1900). 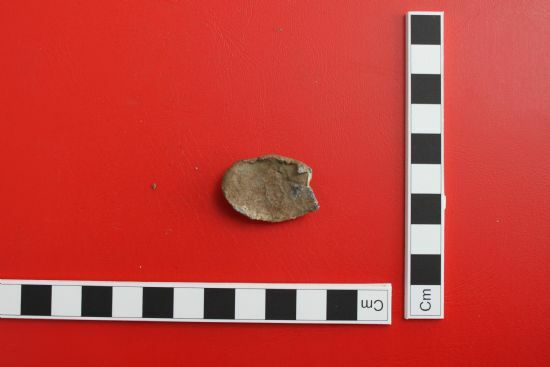 These finds in addition to some of the other finds from the site, like a lead stylus often carried by soldiers in their packs and a chert gunflint do however hint at a greater military presence in the region. Perhaps the mound may have been used for target practice? What do you think? To find out more about the ARCH excavation at Foulis and some of the other finds from the site you can visit a display at Dingwall Library. This display will be available until mid March and includes a small display cabinet with the musket balls on display. You can also find out more about the Delve into the Past project here and our future excavations here.